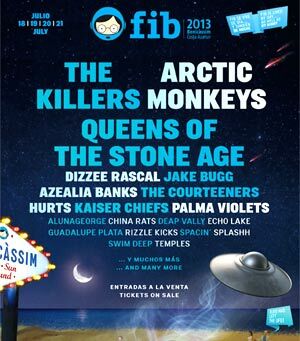 Twenty new bands are confirmed for FIB Benicàssim 2013, headed by the electrifying La Roux, Miles Kane's neoclassical pop, Everything Everything's catatonic rhythms and Woodkid's symphonic pop. In addition Le Carousel, Childhood, Christian Smith, CHVRCHES, The Coronas (Ireland), El Gran Manel, Hanni El Khatib, Hyetal, J Roddy Walston & The Business, Jacco Gardner, Pegasvs, Ratoniles, The Riptide Movement, Terrence Dixon, Toddla T and Toundra are all confirmed to perform. 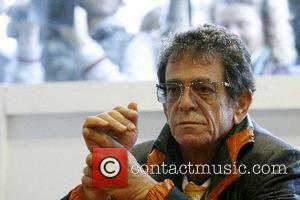 These bands are added to the 2013 line-up, which is shaping up to be one of the strongest in the festival's history, with The Killers, Arctic Monkeys, Queens of the Stone Age, Dizzee Rascal, Jake Bugg, Azealia Banks, The Courteeners, Hurts and Kaiser Chiefs amongst the bands already confirmed. 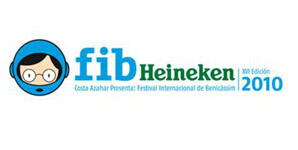 FIB 2013 will be held in Benicàssim's concert venue on July 18th, 19th, 20th and 21st.